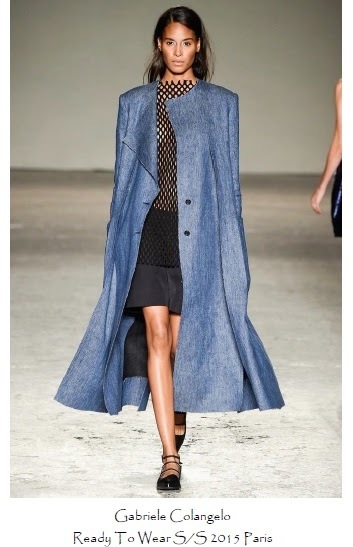 From New York to London to Milan to Paris, a variety of fresh trends have cropped up on the runways for Spring/Summer 2015. Over the next few posts, we'll explore these new and exciting designs. Up first: fashion houses across the globe rediscovered mesh as as a textile used to inject a sporty element into their looks. 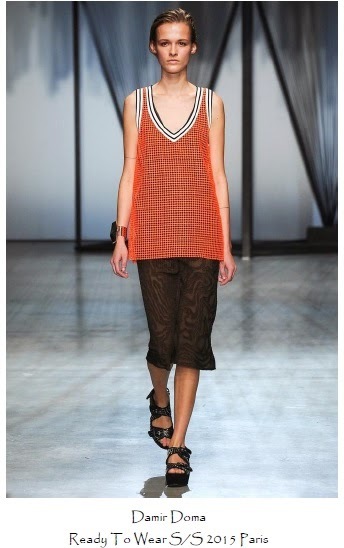 Damir Doma lined an orange mesh tank with varsity stripes to up the sporty factor. Balenciaga topped the open-knit mesh dress with a trench in the same hue. Gabriele Colangelo allowed the edges of her mesh top to go unfinished, revealing a fresh take on scalloped collars and hems. Alexis Mabille showed that a little goes a long way using a panel of mesh from the collar and into a hood for an uptown-chic vibe. Chic, dressy, athletic or edgy, mesh is a versatile textile, lending itself to any style. For the upcoming seasons, how will you incorporate mesh into your wardrobe?